By making music day to day. You ought to know it's just begun." 1)USC loses to Cal AND Oregon...shocking the college BCS pundits..
2)Penn State shocks BCS by going undefeated in the Big 10. Jo Pa gets the big one. 3)Kansas coach..."The Round Man" Mangino leads his Jayhawks to an 8-3 record beating Nebraska for the Big 12 North title. And finally quiets the nay-sayers. 4)Notre Dame starts out a disappointing 1-5 this season. On the subject of football...Here is my Fantasy League Team this year. So...that's how my draft went. I think Berrian might be the steal.. I expect a big year from him. DJ Hackett might be a stretch. My running backs look pretty strong. I'm thinking of joining a second league. Any suggestions? An underrated band...to my mind...has always been Chicago...and I really enjoy the album..."Chicago II". They were hitting on all cylinders and guitarist Terry Kath never sounded better. Chicago w/Terry Kath performing "I'm A Man" from their 1st album. As good as their first album is...I call Chicago II...a definite Must Own as well. And how can you NOT like that "kick brass" section! A nice price, too!. Get it! I ain't gonna work no more. Stay in bed...Til' I'm satisfied. And let my head...Take a softer ride." The only difference is..."Repairman Jack"...offers his services to the everyday person least likely to find help anywhere else. "RJ's brand of justice never fails to ...satisfy. F. Paul Wilson has created a fascinating character in "Repairman Jack"...and writes him into fresh plotlines that are always thriller...sometimes horror in nature...with a touch of X-Files thrown in for good measure. "Legacies" is Wilson's second "Repairman Jack" novel...filled with 440 pages of straight-up mystery. The story revolves around a mysterious house once owned by an extremely gifted scientist...who has willed it to his daughter. She wants nothing to do with this endowment...but anyone she hires to fix up the problem...ends up needing a coffin. There are plenty of delicious twists and turns throughout "Legacies"...making for great page-turning bliss. F. Paul Wilson is one of my favorites. Good stuff! "Nice hat...you look like a referee. Nice watch...but why are you timing me? Its spring has come unwound. I was not out of bounds." Since being privy to the DVR my cable offers here in Kansas...It would be very, very hard to give it up. The ease of spontaneous recording is amazingly simple...and I find myself doing this almost daily. However I do have a few shows setup for my DVR to record whenever a new episode runs. That's a simple feature, too. On that subject...here are my favorite PBS shows I regularly DVR. McLaughlin Group --- This is a blast to watch. I love the questions that John McLaughlin fires out to the 4 person group. The bantering is smart and fast. The topics always revolve around political news happenings of the week...and it is one of the fastest 30 minutes on television. Smart, fast and funny. With plenty of food-for-thought. Byah-Byah! Antique Roadshow --- I love antique stores. And the historical significance of the various collectible items brought to the show is nothing short of fascinating. The fact that something/anything has survived into the 21st century...when you consider the odds...is nothing short of magical. And though this sounds mean...I get a laugh when someone brings in an item...and finds out it ain't worth squat. Perfect show for when you're under the weather. Austin City Limits --- No surprise here. I can't tell you how many artists I've been introduced to...since discovering the show. Garth Brooks...Lyle Lovett...Tom Waits...John Prine...and the list goes on. These episodes I try to save for posterity. P.O.V. --- It makes no difference what the subject is about. These independent non-fiction films are truly excellent. Always leaving an emotional bullet in your memory...P.O.V. offers an intriguing...often personal...look at issues for the most part ignored. Good stuff. Sessions At West 54th --- Boo-hoo! My PBS no longer carries this musical treat. The show was a natural bookend for ACL...and was always a must watch over the weekend. And watching John Hiatt struggle through his post-concert interviews...made me feel like Larry King. Anything else I should be watching on PBS? Michael Penn is an underrated songwriter and singer and I'm amazed that he hasn't broke out...like others of his ilk. Perhaps being brother to Oscar winner Sean Penn has kept many listeners from taking Michael seriously. As if Michael is just riding coattails. I assure you...this is not the case. With Beatlesque vocals that float over nice guitar work...Penn shares whimsical tales mixed with biting...often bitter...darts that has enough backbone to please even the worst doubter. Penn's lyrics are easily stand alone poetry that begs for re-listening. Though they do get good drugs, and they do give good head." An album that continually brings me pleasure when I spin it...and yet has been unjustly forgotten...is the "in your face" confessional..."Catholic Boy" by former junkie/author/street poet...Jim Carroll. "Catholic Boy" is filled with ten scorching poem/songs...that are as powerful now...as when released in 1980. The seedy honesty presented by Jim Carroll in each song swirls out of the speakers with an urgency and intensity seldom heard. JC delivers his personal eruption in a speak/singing manner ala Lou Reed with perhaps a more in-tune pitch and a slightly higher vocal range. But never has Reed had a backing band like this one. Playing like every note is life or death...guitars glimmer with city flash and ride the gorgeous bass work to an uncommon level. And the descriptive imagery and wordplay dancing over these sounds is icing on the cake. Be assured...this record is meant to be played loud and I find myself reaching for this disc whenever I'm buzzing the highway...late at night. Always at night. "When they cut me loose, the time had served me well. I made allies in heaven, I made comrades in Hell." (Catholic Boy) is an admission to being born bad. A tasty, if short, guitar bridge will please the ears. "I want the angel whose eyes are raving...Who takes what I'm giving and not what I'm saving." ( I Want The Angel)...easily remains in your memory long after the song is over. Street wishes smothered in religious imagery. "City Drops Into The Night" is perfect for making your wheels go a little faster. It has a hot sax darting in and out...giving a surreal sound to this ode to the undercarriage of city life. Dig these words..."It's when the sneak thieves are checkin'...They're checkin the alleys for unlocked doors. And Billy's sister's gettin' frantic 'cause...Billy's sister's little brother can't score. It's when the woman from the dream is . . .Oh my God! That's the woman on the floor. Each promise was just one promise more." Nice! "Some destinies, they should not be delivered . . .But in her eyes I saw a thousand reasons." (Day And Night) is a gorgeous ode too lost virginity. Pounding bass and stinging guitar fill the air as Jim Carroll spouts his infamous lines..."It's too late...to fall in love with Sharon Tate." (It's Too Late). A bitter declaration of the battle between temptation and time. Dead-on! Of course his anthem song..."People Who Died" is Jim Carroll's 'Smoke On Water'. "Teddy sniffing glue he was 12 years old. Fell from the roof on East Two-nine. Cathy was 11 when she pulled the plug on 26 reds and a bottle of wine. Bobby got leukemia, 14 years old. He looked like 65 when he died. He was a friend of mine." This song always gives me goosebumps...and I can't help thinking of friends/family I've lost when this song plays. And that's a good thing...because it is like..."Hey you guys...I haven't forgot you". You dig what I mean. A salute, indeed. The words, vocals and instruments are perfectly laid down throughout "Catholic Boy". That rarest of musical puzzles was put together in the studio nearly 30 years ago...and is a neglected gem. Just the wanting alone is worth the fire." One of my inspirations...is a person I never met...He was a good athlete that I never had the privilege to see play. In fact...I never even heard of him...until I stumbled upon a 1952 Topps baseball card with his likeness...in a stack of commons from the fifties. In a room with over a hundred tables of sports memorabilia barkers hawking their wares...in a corner lost between other baseball commons...was the card of a player that has become my "motivational...kick in the hindend". From the moment I saw that baseball card...I knew I had to have it. My favorite card...a 1952 nearmint Topps baseball card...#132...of...Clyde Kluttz. Clyde Kluttz. An ordinary looking guy wearing a Washington Senators cap. Clyde was an average catcher...with average stats. He had a respectable lifetime .268 batting average. And his card says that he made the All Star Team for the International League in 1950 with Triple A Boston. So...you know the guy played hard. Played to win. In fact...Clyde helped the champion St. Louis Cardinals reach the 1946 World Series against the Boston Red Sox. Clyde got himself a championship ring...if they gave rings out back then. Could it have been any tougher trying to work your way up to the big leagues...with a name like that? Betcha he was a tough son-of-a-gun. Had to be. And it was his baseball card I would draw to mind whenever I was feeling defeated. When I needed an extra dose of toughness to keep from calling it quits. In 2002, I wrestled varsity 103 lbs for my high school wrestling team. This was the year our team brought home the State 5A Wrestling Championship in Kansas. I can't tell you how difficult it was for me to make weight match after match that season. But I did it...thanks...in part...to Clyde Kluttz...who kept pushing me to keep going. Anyway...Clyde Kluttz passed away several years ago. He was 61. I wish I had the chance to tell him how much his determination to be the best...inspired me to try to do the same. Clyde is buried in Salisbury, North Carolina. I hope to some day pay my respects. Until then...I guess I'm telling him now. There is a wonderful online site I've recently been checking out...that allows anyone to easily download videos/audio...i.e. YouTube and convert it to whatever format you would like. Even better...if the audio is all you would like to download..."Vconvert" will convert the audio into an mp3 for you to download and sample for awhile. I tested it...by visiting YouTube and watching a Mashup of 9 inch nails & Beatles play over a video. I selected download audio only...and got a nice mp3..."Come Together/Closer" to check out. I also wanted to download the audio of a live performance of "Lucky Town" by Springsteen in Stockholm...YouTube. The website "Vconvert" quickly converted it into an mp3 and downloaded it onto my desktop. Very nice. Of course...remember to not be greedy...and seek out the artists music for purchase at your favorite vendor. "Vconvert" is simple to use...and does its magic pretty fast, too. "What about the one who said he loved you? What about the one who said he cared? But don't bother looking there." "Montana 1948" is a tale of an unforeseen and terribly complex family problem...as seen through the eyes of a twelve-year old boy. Written in 1995...author Larry Watson shows...how the sweet innocence of youth is sadly chipped away...as issues of family loyalty...and unexpected prejudices are confronted. The disappointment felt when someone admired lets you down...And the difficulty...coming to grips...understanding the moral thing to do...is achingly on display in this thoughtful novel. And the sub-plots that Watson adds to this 182 page story...only helps in seeing the big picture...and provides us different insights to the problems. And...sadly...reminds us...that not every problem...can be wrapped up with pretty bows and ribbons. It is easy to understand the comparisons to the classic novel..."To Kill A Mockingbird"...that have been thrown Larry Watson's direction...however..."Montana 1948" is not as gentle a read. Boz Scaggs released "Some Change" in 1994 and it completely slipped under the radar. 'The Boz" has never sounded better. Blues and Soul...Jazz and Rock. It's all here. A definite lost gem. "She told me she loved me. She told me a lie. She said I'd be happy. It is quite possible...and more than likely...that I owe my life...my very existence to the late, great... Brook Benton. Delving into the mind of my granddad recently...about music...records and such...I wanted to know what singers really helped make the bells ring. What helped him trip with the ladies. Grab the gals. Do the dames. I mean...I wanted to know who he really..."dug"...back in the heydays...while cuddling with the cuties. There wasn't much hesitation before he responded with...two fingers. Only two. Elvis...who I was already familiar with. And Mr. Smooth...Brook Benton. As my grandfather would say..."Elvis gott'em in your arms. Brook gott'em in your bed." And he told me it was an absolute fact...that my father...along with my two aunts...(Sherri and Vicki)...were conceived during the playing of Brook Benton songs. So you see...if it wasn't for Elvis...and Brook...entertaining my grandparents during the shadows of love....my father might never have been born. And...well...that would certainly cancel out...Me...Myself...and I.
Granddad had Brook Benton on LPs. On 45's. On cassette. And finally...CD. There were "Best ofs"... and..."Greatest Hits"...and..."Golden Hits"...and lastly...a double-disc offering..."40 Greatest Hits". It was this last one I checked out to play. It had every song that the other CDs had...and then some. And it didn't take long for me to understand...why my Granddad....was drawn to this unknown artist...(to me, anyway)...so intently. Brook Benton's voice is smothered in...COOL! With a silky delivery so..."on time"...even the UPS man would have to take a backseat. After spending the afternoon digging Brook...and listening to hilarious stories from Grandpa...that had to absolutely be kept out of Grandma's earshot range...I came home a much more wiser man. And my next payday...I went out and bought the very same CD..."40 Greatest Hits" by the man I possibly owe my very existence too. Mr. Smooth...Brook Benton. Good Stuff! Below is Brook Benton appearing on Ed Sullivan. Reverting to my childlike nature from time to time...Recently I completed my Start Trek:TNG comic collection. I procrastinated...as I'm apt to do...picking up a comic here...and a comic there...as the mood would strike...But finally did it. Anyway, after reading the DC series of ST:TNG...of which included 80 issues that ran from '89 thru '96 (not counting 6 Annuals & 3 Specials)...here is my list of the best stories from this collection. Thus...should the desire ever strike to pick up a couple of comics with the intention of enjoying a completed story line...well...here you go. Top 4 Star Trek: The Next Generation DC Comic Story lines. Issue # 30 - 31...Commander Riker...aka Number One...has a run-in with some sour spectres. Issue # 1- 2...Captain Picard looks guilty in a murder assassination. Issue # 33-35...The rapscallion "Q" turns the Enterprise crew into Klingons. Issue # 47 - 50...The Enterprise slips into an alternate universe with the Borg again as the adversary. For the secrets I have hid". Catching a rebroadcast of Sufjan Stevens on the enjoyable Austin City Limits this past weekend...reminded me of how much I enjoy his 2005 gem..."Illinoise". Sufjan (pronounced soo-fi-yahn) Stevens, a twenty-something Detroit native started in 2000 releasing music to the Web to little fanfare. A few years later...one couldn't escape surfing the net without reading praise after praise...ad nauseum. It was almost annoying. Nonetheless...the high props and attention were warranted...and though I'm sure I'm preaching to the musical blog choir...this is my first time throwing daisies his direction. And besides...I really enjoy this CD. In 2006, Sufjan was awarded the “PLUG Independent Music Award” for best album with “Illinoise”. 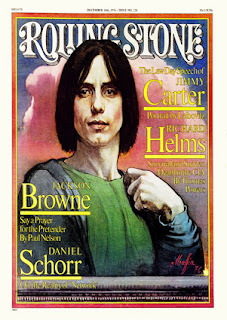 This album also attracted the attention of Rolling Stone magazine who threw props his direction. And deservedly so, as this CD is strikingly honest and strangely surreal. A combination that grabbed my attention from the first spin. With an exciting mixture of acoustic guitar, bells, drums, French horns, oboes, banjo, piano and marimba, Sufjan creates a sometimes eerie, sometimes bright collection of 22 songs based loosely on the state of Illinois. Although I’ve listed a variety of instruments, they are not used in a cacophony way, but in smaller doses, creating pleasing and sometimes unexpected sounds. This album is filled with thoroughly original songs and choosing just a few is difficult. “I drove to New York/in the van, with my friend/ we slept in parking lots/I don't mind, I don't mind/I made a lot of mistakes” (“Chicago“) recalls a road trip with a long-ago friend trying to run away from problems. “Casimir Pulaski Day“, a song about a teenage girl with cancer told from Sufjan’s perspective. “On the floor at the great divide/With my shirt tucked in and my shoes untied/I am crying in the bathroom./ Oh the glory that the lord has made/ And the complications you could do without/ When I kissed you on the mouth”. Brutally honest and beautifully done. “Decatur”, about his step mom, has a Neil Young sounding banjo providing percussion while Sufjan appears to be having a laugh rhyming words with Decatur. Along with the tracks mentioned, Sufjan sings about UFO’s, Civil War, Night of the Living Dead, ghosts, and Superman intermixed with short instrumentals that are not in the least bit filler. The killer song (no pun intended) on this awesome bed of work is the disturbing “John Wayne Gacy, Jr.”. Sufjan attempts to humanize the monstrous serial killer from Illinois. He covers most of the ugly facts about the murderer with a contrasting beautiful melody and by the song’s end Sufjan has successfully startled us by suggesting we all have unflattering secrets best left hidden. “And in my best behavior/I am really just like him/Look beneath the floorboards/For the secrets I have hid”. It was rumored that Stevens was planning on releasing an album dedicated to each of the 50 states. Not likely...but quite an ambitious ladder to climb nonetheless. This record was made for introspection and is perfect for when you want to enjoy your melancholy for a little while. As confusing as this may seem, this is not a depressing record. Quite the opposite. The fact that Sufjan can pull this off with such heavy subject matter is a testament to the choreography of brass and strings and bells...and whatever else may be handy. There is a refrain from a band whose name escapes me that goes…“It’s all been done”. Well…Not this time, my babies. Early today the mechanical city was waking. Out through the laughter of children and dogs." There have only been a few artists I gravitate to...when in need of re-discovering my .."hurts". But only one artist, for me, has explored...and expressed...the infinite daggers of love...that lead to so many varieties of joy...and pain...with such dead-on accuracy...as Jackson Browne. Many different pages of emotions...that occur within the duration of any important relationship have been captured...for a short moment...by the razor sharp honesty of Browne's pen...and fragile vocals. And though Jackson Browne, like every artist, has a few "best of" collections available for the consumer...The record company seldom gets it right...when it comes to..what songs to include...and what to leave out. And it bothers me to think...that if only a "best-of" CD is all some ill-informed consumer purchases from any particular artist...well...the great songs they may never hear...is nothing short...of a musical crime. So...with that in mind...here are my favorite songs by Jackson Browne...I find myself returning to...again and again...that are not included on any of his..."compilation" offerings. 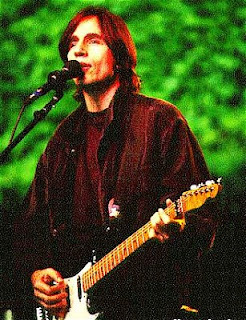 In no particular order...ten more great Jackson Browne songs. ("When we come to the place where the road and the sky collide. ("Of all the times that I've been burned, By now you'd think I'd have learned. But he only came to say that he can't breathe here. ("I met her in a crowded barroom..One of those typical Hollywood scenes. ("You're a hold out. Well I'm a hold out too. But it took me all this time to figure out Something you already knew. Will love be true? Can it pull you through? ("Together we went traveling, as we received the call. There you have it. And I could easily throw in another ten songs without hesitation. But the best way to experience Jackson Browne...is by picking up one of his studio releases and taking it home. Here is JB performing the beautifully sad... "Two Of Me, Two Of You". Check it out. And the two of you. And it's running through my veins. And it's going to my brain." Chuck Palahniuk became an author to reckon with...when his novel "Fight Club" was adapted to the big screen. Readers soon discovered that Palahniuk creates his characters with a "kiss-it-if-you- don't-like-it" attitude. In "Choke" (as with most of his novels)...characters are presented with brutally honest ideas...politically incorrect opinions and unattractive human truths...warts and all. Readers will find "Choke"...refreshingly interesting...if not disgusting...and the author will leave them...the reader...to decide where the true...line...is really drawn. Writing in a style often compared to the great Kurt Vonnegut...Palahniuk novels are difficult to explain..without giving too much away. And, of course, the unexpected is what has given this author such an underground following. To prepare anyone for this short 304 page novel...I will only...in brief...describe the main character. Introducing Vincent Mancini. A sexual addict who attends sexaholic meetings...for the purpose of hooking up with other deviants...and to learn novel ways of achieving...the proverbial...body buzz. Vincent also eats at nice restaurants...only to purposely...choke...on food...to get a free meal...and hopefully...add another stranger to his list of lifesavers who feel responsible for his life and provide Vincent with money to live and take care of his nursing home bound mother. With all this that I have offered...I have NOT...spoiled...the just of the story...which I will leave for the reader to wrestle with...as well as...try to maintain their chuckling volume to a reasonable level. Below is a cool YouTube clip of The Sweet performing a ..."lost classic"...featuring the late Brian Connolly as lead vocalist. Good Stuff! My heart has heard the sound of harmony. It's only by the music I'll be free." Rarely does a 30 plus year old album...thumb its nose at time...and sound as brand new...as when it was released. An album that still feels relevant and fresh today. If you can imagine glistening morning dew catching sunlight as the world greets a new day...then you will have a pretty good inkling of the ...joyful and uplifting gift...Pete Townshend has given us...with his unjustly forgotten..."Who Came First". Recorded in '72, Townshend creates an acoustical tour-de force ..that 'rocks out and mellows in' with equal pleasure. In fact, first time listeners will discover...what many already know...Townshend is a most under-rated guitarist. With one listen of “Who Came First“...a Townshend fan...you soon will be. The songs throughout reveal a devotion he has for his spiritual mentor...Meher Baba...but the songs are no way dragged down by dogma. Pete’s faith gives each song a....handshake feel...rather than a fist. “There once was a note, pure and easy...Playing so free, like a breath rippling by.“ (Pure And Easy)...opens the CD with one of the best pop/rock songs ever. “Evolution” has Pete’s buddy, Ronnie Lane adding vocals in terrific front porch jam fashion. “Forever’s No Time At All“ perfectly displays his childlike voice...that I’ve always been more partial to...than Daltrey's. (Thanks to a reader..."Forever..." is Billy Nicholls' vocals...NOT Pete.) And the anthemic “Let’s See Action (Nothing Is Everything)" builds to speaker busting crescendo...and will easily have you singing along. “I’m playing my guitar while my sister bangs a jar” (Time Is Passing) is a wonderful reminder of how we are all here for only a short time. Another favorite is Pete’s loving tribute to his guitar as he sings “I’m sitting in the Sheraton Gibson playing my Gibson...Thinking ‘bout a sunny barbeque.“ (Sheraton Gibson). Townshend joining Vedder doing primo justice to "Sheraton Gibson." Finally, the closing track (before the added bonus goodies) is "Parvardigar"...from Meher Baba's "Universal Prayer” that Pete Townshend set to music. Beautiful. As I mentioned, 9 bonus goodies have been added...which are all pretty decent as bonus tracks go. Especially, the name-droppers delight...“The Seeker”. If the 60’s was...”I hope I die before I get old”...this 70’s offering has Townshend reconsidering...sharing more of his...”Hope I live to see my grandchildren” attitude. I think there’s room for both. Good Stuff! "And if you want to be me, be me. And if you want to be you, be you . 'Cause there's a million things to do. You know that there are ." This may be ...the original show..."about nothing"...that George & Jerry were always trying to pitch on Seinfeld. Simply...Groucho Marx...conversing with a couple of guests. Throw a couple of questions at the end. Say goodnight....tune in next week. But Groucho...with his naughty one-liners and his innate ability to sling snappy comebacks...off the cuff...is nothing short of amazing. And the show still holds up quite well, today! "You Bet Your Life" ran from 1950 to 1961 and is recognized as one of the most popular shows ever on television. I encourage you to watch this short 2 minute clip of Groucho in action. Good stuff! There was ...refreshingly...NO...political correctness...when it came to Groucho. Never apart from his trademark cigar...and his hilarious sexist remarks...no greater smart-aleck ever lived...who teased with such...love. True gold. When watching for the first time...one will be struck by the visually dated set. A small desk with Groucho sitting on a stool. Cheap drapes. Two microphone stands for the contestants to stand in front of. And that's it. A gimmick for the show was having a stuffed duck dropped from the ceiling...when any guest said..."the secret word". A $50 prize to be split between the contestants. There was also a few questions asked at the end...for the guests to win some money...but that almost appears to be an afterthought. It was Groucho that people wanted to see. Bring out two quirky contestants and let the...Master...throw his zings and tongue darts for the whole wide world to enjoy. Even in his sixties...Groucho Marx was as quick-witted as they come. He didn't even break a sweat. With 14 classic episodes with original commercials...a $6.98 price tag for this DVD at Amazon is a bargain. Good stuff!